The Program: To celebrate our organization’s 45th anniversary, share your work, ideas, and design inspirations with your colleagues. 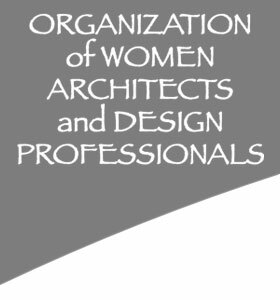 Help create a timeline recognizing the achievements of OWA+DP and its members. Participate in a panel discussion. More details to follow. Contact Hana Mori Bottger, to share your work, perspectives, and creative endeavors with the OWA+DP community. Celebrate our organization’s 45th birthday. Movement: Saturday, in preparation for the musical performance in the evening, Monsoon Dance Company will lead us in Bollywood dance workshop. At the end of the weekend, on Sunday morning, Lisa Murray, Yoga Community, will lead us in a relaxing session of Yin yoga which targets connective tissue. Music: Piyush Nagar, Aanal Anjaria and Hina Patel will perform East Indian themed music for Saturday evening’s entertainment. Show & Tell: At Friday night’s show and tell, each attendee will be allocated two minutes to tell the group about an OWA+DP member who inspire them or to describe an inspiring person who led them to a career in design and/or construction. 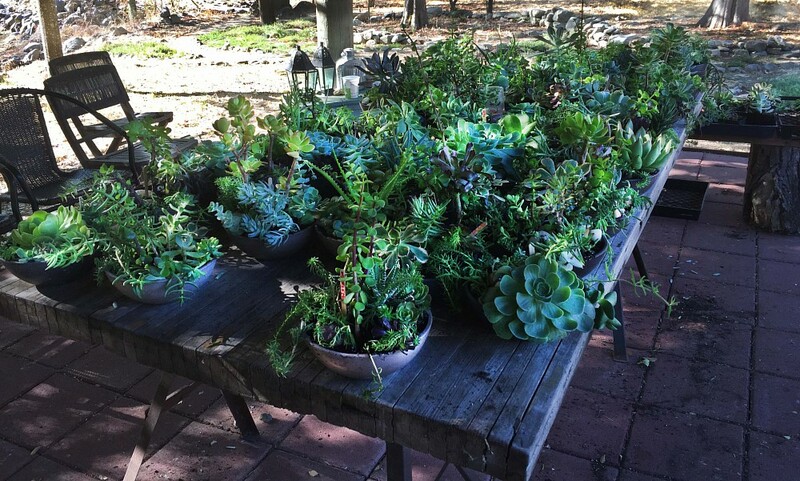 Art project: Design and create a succulent garden in a small planter you can take home. Book your reservation now: We have room for 50 guests. 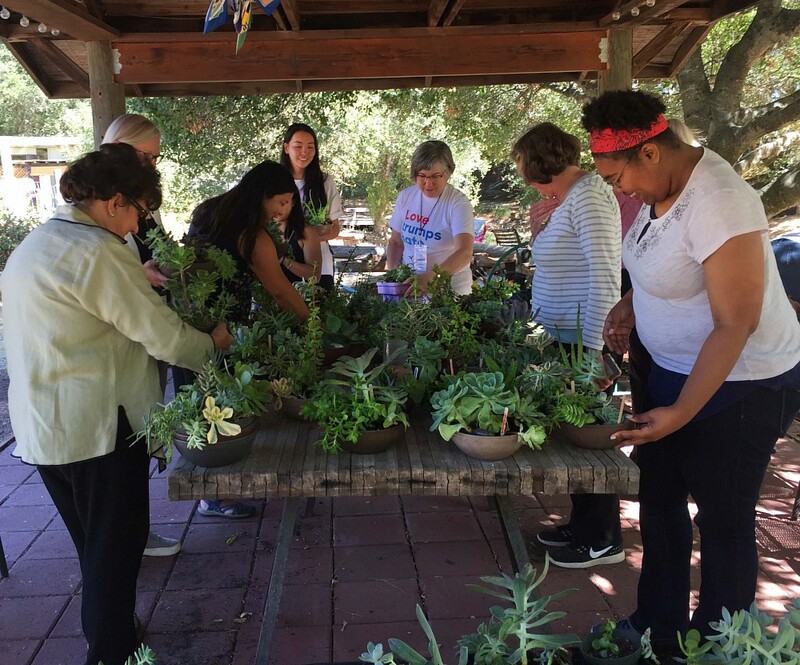 Accommodations include access to gardens, swimming pool, adobe dining hall, and shared bedrooms in rustic cabins which all set in beautiful, Sonoma, wine country. The weekend retreat (Friday 4pm through Sunday 3PM) costs $380 before June 30th and $410 after that date. One price includes accommodation, meals, and the program. For attendance on Saturday only, the cost includes 3 meals and is $245. Indoor camping (sleeping in one of Westerbeke’s meeting rooms) is available at a reduced rate of $280 before June 30th and $295 after that date. Financial assistance for scholarships is available for students and those without employment. We encourage participants to join OWA+DP. Contact T. Rachel Slonicki at Little Elephant Architecture with questions. Email trs@littleelephantarchitecture.com or call 510.704.0808 Rachel to make a reservation. Fill out a registration form on line and pay with PayPal or send your registration form and fee to Heather Sprague at the address listed below. Join us for a weekend of conversation, fun, exercise, hiking, swimming, hot tub, massage, music, art, and delicious food. Give everybody a chance to know you better, develop closer ties with friends and colleagues, and return home inspired by new ideas from our group. $350 before June 30, $375 thereafter. Indoor camping is available at $250 before June 30, and $275 thereafter. OWA+DP membership is not required. Join today!